Great Western Coffee Shop > All across the Great Western territory > Other ways to travel: cycle routes, cycles, and how the railways deal with them > Readybike dies, finally. 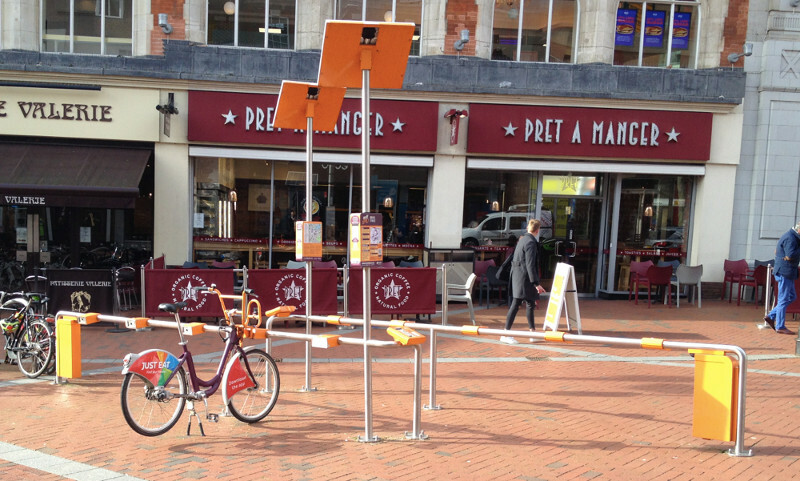 The Reading bike hire scheme will cease at the end of March: https://www.bbc.co.uk/news/uk-england-berkshire-47588853. A very costly experiment, without the infrastructure to support it. If the roads are such that people don't feel safe on them they are unlikely to hire a bike, even if it was free. Just have to hope some dockless bike hire scheme doesn't feel Reading is the place to litter with bikes strewn all over the pavements. 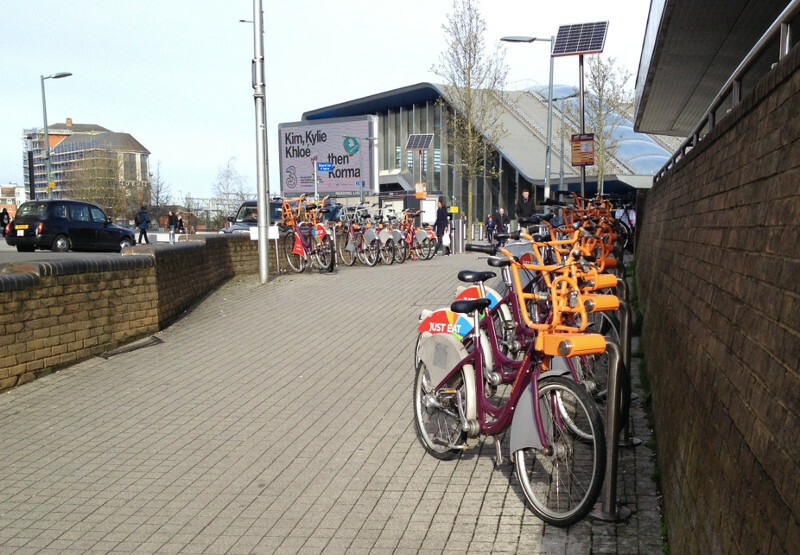 Notice that the Brompton Dock is back in operation at Reading station, but it appears to have only two bikes. Be interested to see if they survive after being "offline" for almost a year. 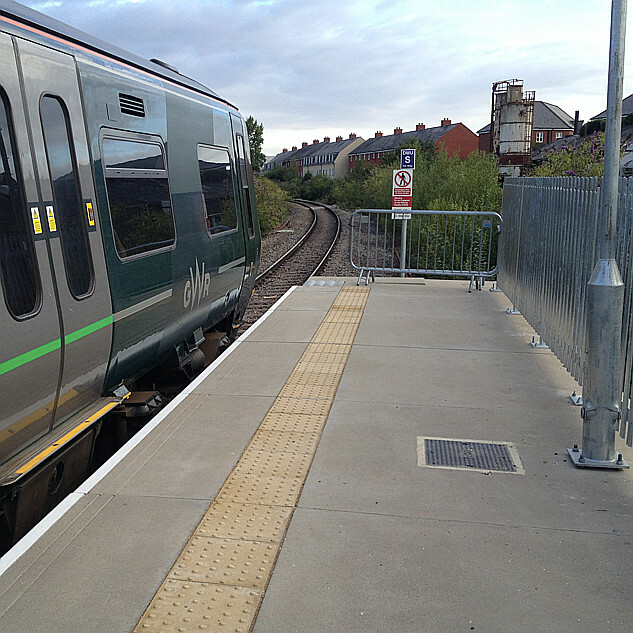 It appears that the Exeter Brompton Dock has also gone "offline", whether temporary or permanent I don't know. In Reading today ... pictures at around 09:30. Something of an imbalance of cycles at the two locations I saw.